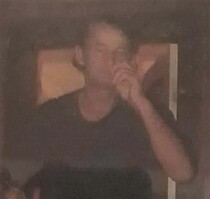 Roy Lee Scott formerly of Providence passed away December 18, 2018 in Evansville, IN. He is the son of the late Everett and Ruby Scott. Besides his parents Roy is preceded in death by his brothers Marvin Scott and Charles Scott. He is survived by his wife Bonnie, 4 sons; Joshua Scott and Johnathan Scott both of Evansville; Roy Lee Scott Jr. and James Scott both of Sebree, 2 sisters; Patricia Harmon of Providence and Catherine Gandy of Ocala, FL, several nieces & nephews. Visitation will be Saturday December 22, 2018 from 10am-1pm with service at 1pm conducted by Bro Ralph Alexander in the Chapel of Jones Kirby Funeral Home. Burial will follow at Shady Grove Cemetery. www.joneskirby.com for online condolences and more.